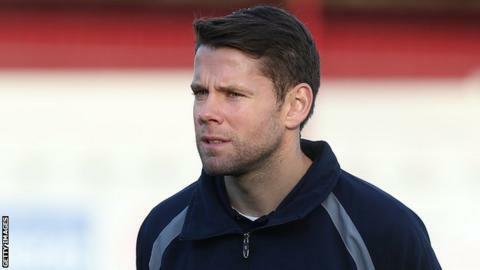 James Beattie's dramatic equaliser boosted Accrington's survival hopes in a six-goal thriller against Burton. Stanley took the lead when Will Hatfields's shot was adjudged to have crossed the line before Matt Paterson equalised after a defensive mix-up. Padraig Amond's chipped shot put the hosts back in front but a Zander Diamond goal and and stunning free-kick from Jacques Maghoma put Burton ahead. But Beattie had the final say when he prodded home with almost the last kick. "When we saw the pitch, and saw the conditions, I was a little bit nervy because you felt as though it was going to be a bit of a lottery today and not a level game where you felt as though the best team would win the game. "I think it was a case of whoever played the conditions better would win the game. "I think it was a day for trying your luck. It was a day for having a shot, because anything literally could have gone in. "We started poorly today and we felt with the wind you've got to try and get bodies forward and try and keep the ball alive in and around their area, which we didn't do well enough to start with."